LAS VEGAS DAZE: Friday the 19th, last day for November trip. Friday the 19th, last day for November trip. I woke up late on the 19th, the last day for this trip and didn't leave the suite until close to 1pm. Socalgirl wouldn't be joining me for a few hours so I went to lunch at Zine Noodles at Palazzo. The restaurant was doing a brisk lunch business and I was seated in a small booth in the back. I ordered their spicy black bean scallops and they turned out to be delicious but very spicy, which was fine by me, but others might want to be cautious when ordering entrees listed as spicy at Zine, because they actually do mean they are hot! I also had a side of spicy cucumbers which I enjoyed a lot. Deciding to have a glass of wine I ordered their Riesling which tasted suspiciously like a Chardonnay. 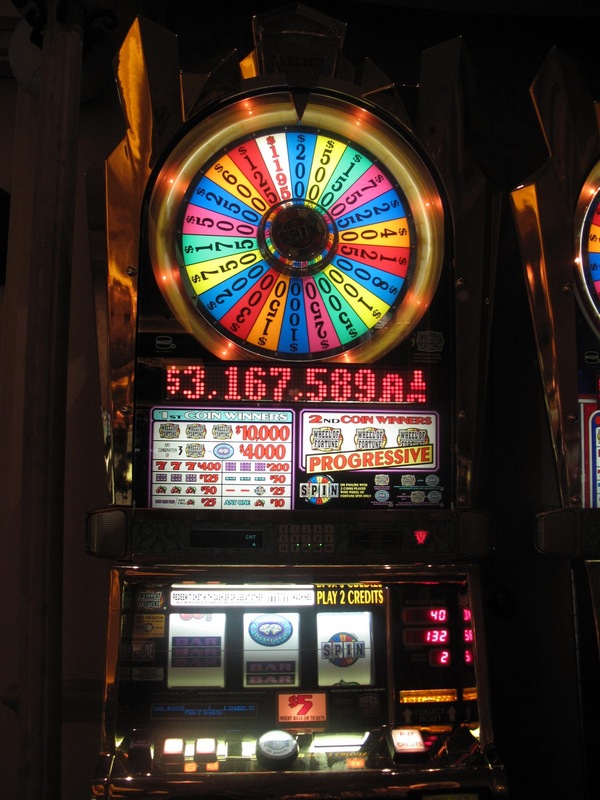 After lunch I then played a bunch of penny slots at Palazzo, and was just losing, no decent hits or bonuses. I decided to go to the Venetian Gold room to get a soda and since you have to pass through the high limit room to get there, I stopped to play a quarter slot called Ruins there and had a half way decent bonus. After that my luck improved a bit. The above hit was on $5 pinball. The $5 Wheel of Fortune decided to give me a spin but only landed on the $200.00. At this point Socalgirl was there and had been losing too. We decided to meet up at the Gold Lounge, and once there Socalgirl told me she had just witnessed a lady playing the $5 Top Dollar in the high limit room get the offer for 1000 credits so she hit for $5,000! After a bit more gambling which resulted in some more losses for both of us we met our host at the Grazie Gift party which I already covered in the previous post. As we were leaving the Grazie VIP party our host walked us back to Palazzo and asked where we wanted to eat that night on Socalgirl's comp and then while we were considering that suggested that we try Carnevino which is a personal favorite of his, so we agreed. Our reservation wasn't until 8:15 so having a hour to kill we continued playing slots. Socalgirl unfortunately continued to lose but I had a couple good hits, one of the being on the Wolf Run that had given me the hand pay earlier in the trip. The above bonus re-triggered 2 times, so I was actually expecting it to be more then $315.00 but was still happy with it. 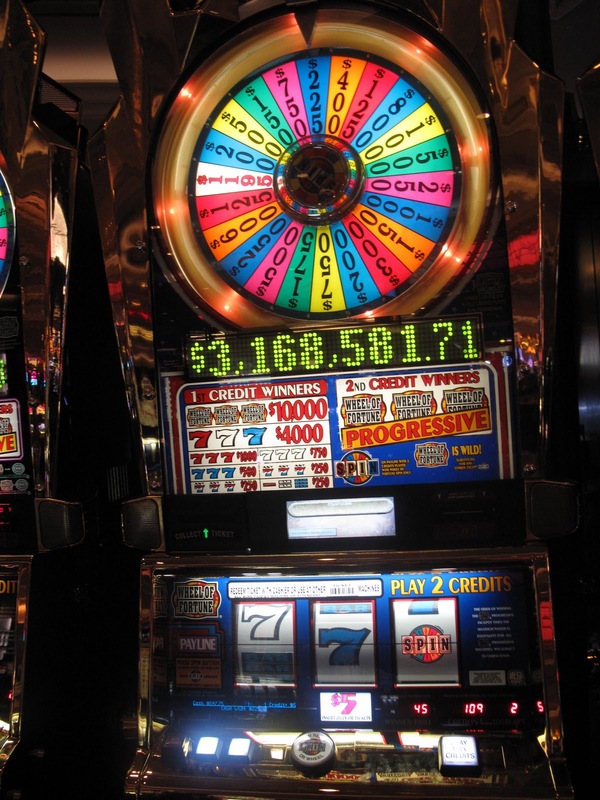 On the way to Carnevino I spied my favorite $5 WOF at Palazzo and was lucky enough to get this spin for $215.00. At Carnevino we were seated promptly in the wine room at a nice corner table. The amuse was gorgonzola cheese puffs, which were light and yummy. I ordered what they called their farmer market cocktail and tonight it was made from huckleberries among other things and was pretty good and not too sweet. The bread roll was huge and had parmesan and rosemary flavoring it. Socalgirl ordered insalata Caprese, which was heirloom tomatoes with burrata cheese and basil which was excellent. My Lonza salad with local pear and slices of thin pork was marvelous. We both ordered the small filet and shared sides of Spinach and Garlic with fingerling Potatoes with Parmesan. The steak was one of the best I've had and might even be better then the last one I had at Cut. Service was very good at Carnevino, however if I was to compare it to the service I've had at Cut in the past, Cut would be the winner. We shared the dessert which was a lovely cheesecake made from 3 different types of heirloom pumpkins. Desserts were very expensive at Carnevino, but I actually thought this pumpkin cheesecake was worth the $20, it was unique and delicious. After dinner I had some small hits on the slots but it didn't last and I started losing. Socalgirl in the meantime sat down at one of the Crazy4Poker tables and was winning more then losing. I joined her for about 8 hands or so and had a few nice wins. However, once I started losing I left though I did walk away with $40 more then I started with. The $5 slots no longer loved me, though I did have this nice hit on WOF, which was the 2nd time for this trip that I hit 3 sevens. I tried the reel WOZ and went from slot to slot in that bank of them at Palazzo until I finally hit this on a Wicked Witch bonus. After that it was just losing what I had won previously. Socalgirl who had won at Crazy4poker but lost on the slots earlier was ready to call it a evening and so was I. After going back to the suite, I wrote up the Grazie party portion of this trip report and went to bed. The next morning it was time to leave so I packed up and checked out of the suite at about 11:45am since I was planning on taking the free shuttle for Grazie gold members at Venetian. The waiting area for the shuttle is not far from the Valet station, and while there were waiting shuttles, none of them was Executive which runs the complimentary one. At 12:10 I'm wondering what is going on since the shuttle had not made it's noon appearance, so I asked one of the valets and he said he would call for me. Returning he said they would be there in 15 to 20 minutes, that there had been some glitch. Unfortunately it was very cold and windy today so I called my host to let him know I wasn't too impressed so far with the free shuttle to the airport only to have him insist on sending a limo for me. In less then 5 minutes the limo driver was there in a nice cream color limo and I was off to the airport. Once again I was flying Virgin America and upon checking in was offered the bargain upgrade to select which I took. Airport security didn't have any lines so I breeze through it and also didn't have to use the new scanners, opting for the line that had the older ones in place. There was bad weather out of SFO where our plane was coming from and then would be going back to, but we got lucky and it started to clear so we were only about 15 minutes late taking off. This time I did have a entertainment system that worked and got to catch almost all the Grown Ups movie with Adam Sandler, David Spade and others. Landing was fine, but there was rain and lightning coming down so we had a exciting ride back home in probably the worse weather according to my husband we have seen in 6 months. My next trip and the last trip for this year starts on December 7th for 3 nights and I'm staying at Encore on a free offer that was too nice to pass up. Sadly the offer was only for weekdays and my husband couldn't get the time off from work since he will have the week off for the Christmas holidays so it's another solo trip. However, I won't be lonely as Socalgirl and I have plans to meet up with some very nice people from a couple Vegas message boards during that trip. Even though I was with you most of the time, reading your report was almost more fun...all the fun/none of the losses. Thanks for memories, really nice write up. Thanks Socalgirl for making the trip so much fun. See you soon! Up, down and all around at Venetian-Day One!